Observe and report observations. Make simple predictions and inferences based upon observations. Use observations to construct a reasonable explanation. Pose questions about objects, events, and processes. Incorporate geology, history, transportation, social sciences, etc. Have you ever looked at a stone wall and wondered where the different rocks came from and what story they may tell? 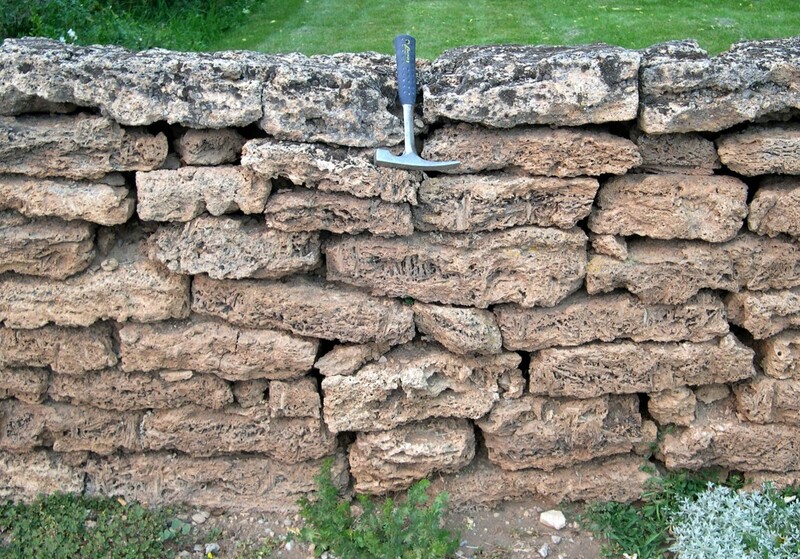 First read the “Glad You Asked: What Kind of Rock Makes a Good Wall?” article to get you started. 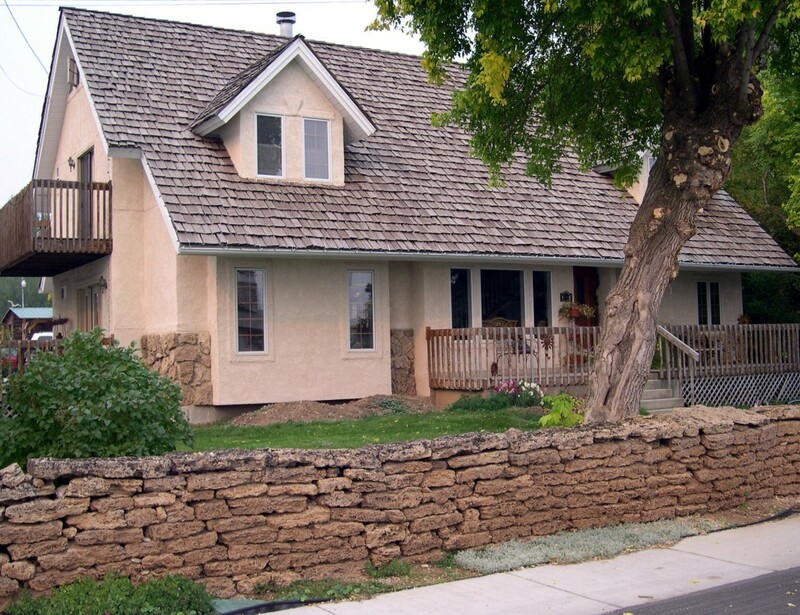 In the field, select a stone wall to look at with your students. Close observations will probably lead to numerous questions, many of which can be answered by logical thinking processes. 1. What type of rock(s) make up the wall? 2. Where did the rock come from? Is it local or was it brought in from somewhere else? Are the rocks large or small? Are they from a river bed, a quarry, or ?? 3. Does this area have a large supply of these rocks naturally? 4. Why is the wall here? Decorative? Retaining? Border? Other? 5. What’s the local geology? 6. How does geology affect what was built around us? 2. Local rocks, small enough to be carried by hand, from the nearby Midway hot pots (read “GeoSights: The Midway hot pots”). Tufa forms around the hot pots when calcium carbonate precipitates out of the spring water due to a change in the water’s chemistry as it flows out of the ground. 3. Not a huge supply, but enough for several decorative uses in the past. The tufa cannot be collected today, as it is on private land. This could also segue into a history discussion, and include a question about the age of the wall. 4. This wall appears to be mostly decorative; the ground is relatively flat, so the wall is not a retaining wall. The rock wasn’t lying around the yard naturally, so the purpose was not to get rocks out of the yard. 5. See answer to #2 and the “GeoSights: The Midway hot pots” article. 6. Many possible answers, which are not listed here.